Snapshots and cell phone photos are great for Facebook or Twitter profiles ... but your family wants a Real Portrait for the wall at home! for the Wall of Honor Your life is remembered by your family and those you love in pictures. From the moment you were born the significant moments of your life have been recorded in photographs. 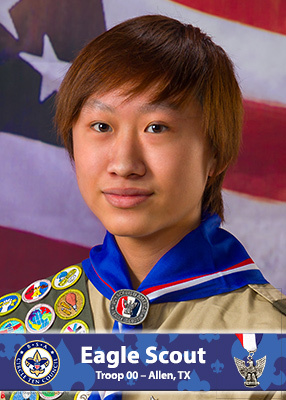 Now, you have achieved in your short life an achievement few will equal ... earning your Eagle Rank. The photo from this moment will be hanging in your parents' and grandparents' homes for years. They will proudly remember your achievement every time they see this portrait. And, in a few years, you will proudly show it to your own son. 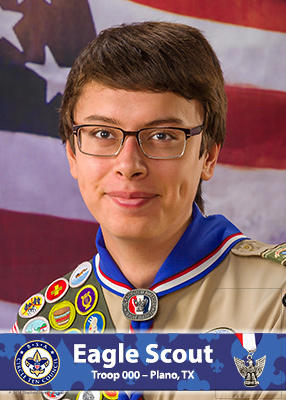 Eagle.Photography, created by StephenShore.Photography, exists specifically to create great portraits of you as a new Eagle Scout that will be meaningful to you, your family, and your friends both now and in the future. Portrait sessions will typically be available twice each month at the StephenShore.Photography studio in North Dallas near the Galleria. If time permits, we may be able to take one family portrait, also. While not required, you may purchase prints that are typically mailed out about one to three weeks after the photo session, dependent upon other assignments we have. Photos being retouched typically take a bit longer than unretouched portraits. There are a number of different sizes and products available for purchase. Along with your parents, family, and friends, StephenShore.Photography is extremely proud of your achievement. 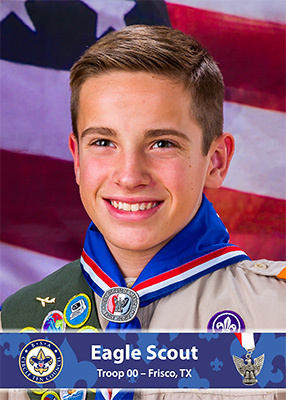 With only about 4% of Scouts even achieving the rank of Eagle, we want to make sure that you are recognized and honored in reaching this height. 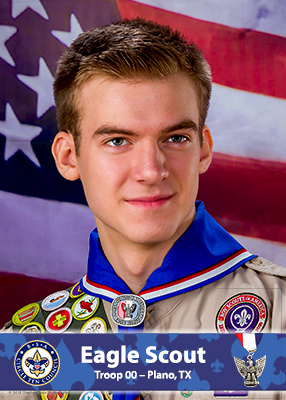 Therefore, a professional portrait made of you that, if you wish, will be submitted to the Dallas Morning News for publication on their Scouting honor page. StephenShore.Photography waives our normal portrait session sitting fee for new Eagle Scouts on two Saturdays each month, and if you so wish, submit an image and pertinent details about you as a new Eagle Scout to the Dallas Morning News. This will cost nothing to you or your family. It is our gift to you. Should you wish to buy prints of this portrait for your personal use, purchases will be available at the end of your photo session while you are choosing which image should be used. 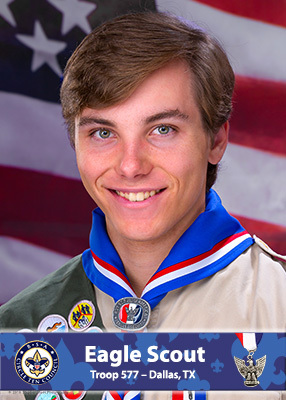 Please Note: Although we typically submit Eagle Scout information to the Dallas Morning News within a few days of the portrait session, once the DMN receives it, we have absolutely no information, input, or control over when it might be published. The DMN typically publishes based upon volume of submissions and the listing could appear anywhere from a couple of weeks to a couple of months after we submit it. And, because they publish based upon what they receive and they are unable to predict what they will receive, they also don't normally know when any one Scout's announcement will be published. 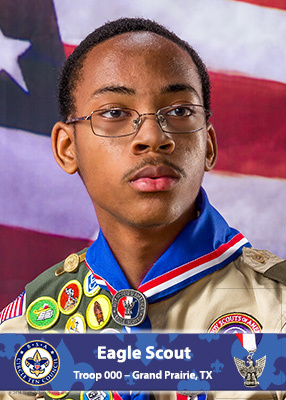 Currently, the DMN appears to be publishing three Eagle Scout announcements in the Sunday Metro section each week. All images and photography created by StephenShore.Photography are protected from copying, scanning, or reproduction under Federal Law. If you desire to have or use photographic images created by us, please contact us to either purchase a print or license its use.